Father Patrick Toner, a retired priest in the Columbus Diocese, wanted a blog and a site to post his homilies. He also wanted to be able to promote his prison ministries. Fr. 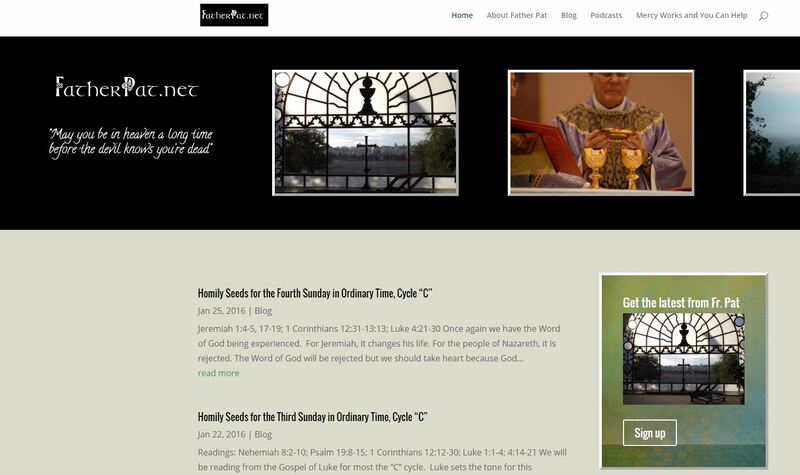 Pat now has a site that is easy to read, easily to navigate, and his followers can subscribe and enjoy his blog posts and homilies. Fr. Pat’s site is a WordPress site with the Divi theme.